It is a Universal truth that nobody can replace the Warmth of a Mother. 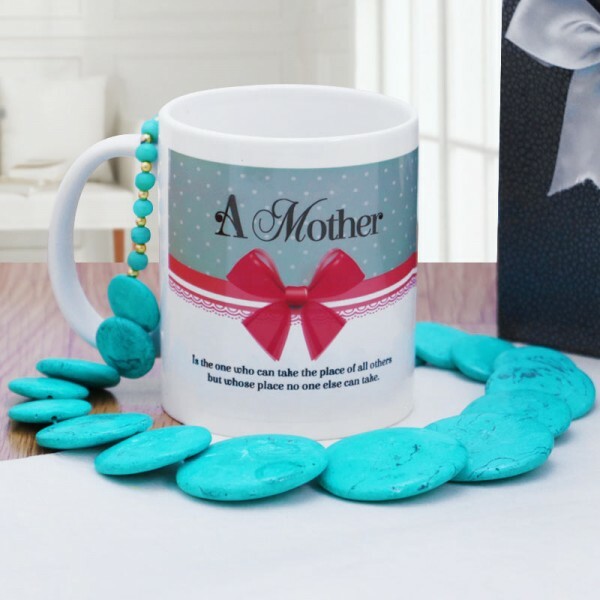 Spell it out to her with a Printed Ceramic Mug which conveys the same message in a very effective way. Pair it up with this beautiful Blue Necklace that will make her look even more Stylish. Your Mother will simply love it.